The Fat Foodie - Page 2 of 62 - Making Low FODMAP Food Good! Today is Friday the 15th and I’ve been on the elimination phase for six days. I’m not going to lie, it’s been a bit taxing at points, but it has been worth it. I’ve definitely noticed a decrease in bloating and overall gut discomfort. I’ve been tracking everything (and I really do mean everything!) religiously on the free version of the MySymptoms app that my dietitian, Lesley, suggested and it definitely makes you more aware of what you’re eating and how much you’re having. The main thing I’ve noticed about going into the elimination phase of the low FODMAP diet is the importance of planning your shopping list for the meals you’ll eat in the week or weeks ahead. I’ll give you a rundown of my week’s meals further on, but at the very start of this process I used the Monash app to make myself a list of low FODMAP foods and the exact quantities I could have in order to remain within the low FODMAP limit for them. This might seem pedantic, but it made things much easier when it came to planning what I was going to eat. 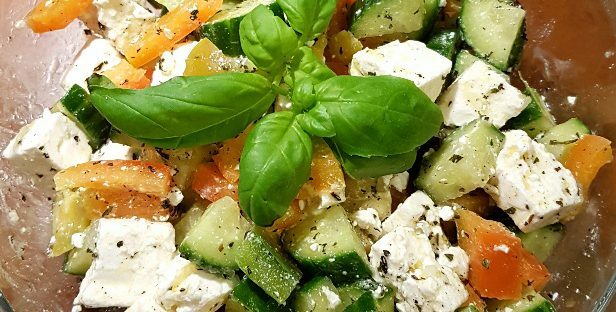 It makes the elimination phase a lot easier when you have the peace of mind to know that there are a few meals you’ve got on standby that you can reach for when necessary instead of mindlessly staring at the contents of the fridge or cupboards trying to figure out what meal you can make that’s going to be suitable. When I was preparing my list of low FODMAP foods I was struck by the fact that the majority of the foods were traditional foods that we would have eaten in the past, such as potatoes, carrots, parsnips, turnips, cabbage, kale, spinach, common tomatoes, green beans, lettuce, radishes, green leek tips, pickled beetroot, rhubarb, raspberries, oats, maize, rice, and vinegars. These are all foods which would have made up the staple diet of our ancestors because they would have been grown on our own shores, so isn’t it interesting that they’re the foods which are least likely to cause us digestive discomfort? Perhaps it’s just the historian in me that’s making these correlations, but I find it a very interesting link. It makes me wonder if the wide ranging diet we’ve become so accustomed to due to the availability of a plethora of worldwide foods in our supermarkets (and the easy availability of junk food) has had a negative effect on our guts. It’s just a thought, but I’d welcome anyone’s thoughts on the subject. Another thing I’d like to mention is the importance of having suitably low FODMAP ingredients in your cupboards before you start the elimination phase. One thing I’d forgotten to pick up was Massell 7s stock cubes and on the first day of elimination when I made soup for lunch I sorely regretted it. Needless to say, I bought some online later that day and had them delivered promptly! Trust me, they make such a difference when you’re cooking from scratch. 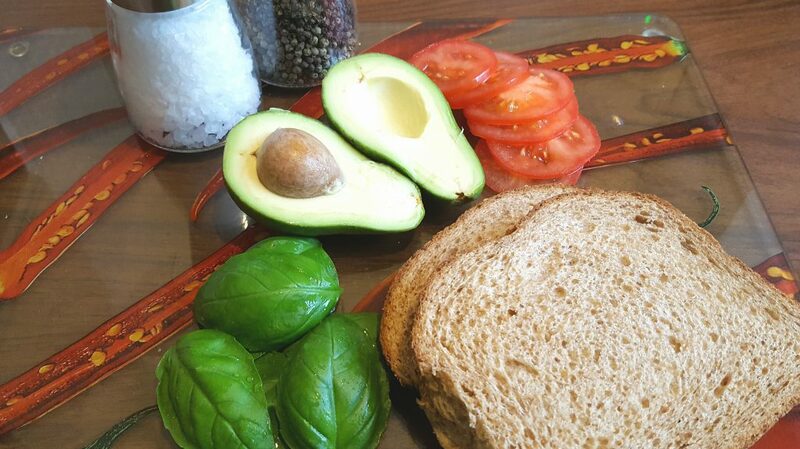 On the subject of cooking from scratch, I think that if you want to successfully go through the elimination phase without accidentally eating high FODMAPs, making your own food is the way to go, with the exception of things like gluten-free bread. If you make your own food you can control what’s going into it and, subsequently, your body. I have to say, I’ve eaten well this week and with the exception of finding myself without a sweet treat to satiate my sweet tooth during the week (which I swiftly corrected by baking some low FODMAP cookies) I haven’t really missed anything. As I said in a previous post, I’m going to write another cookbook which will include all of the recipes I’ve created during the elimination phase, but here’s a list of my meals this week. I hope you enjoy the thought of them as much as I enjoyed eating them! Breakfast: A gluten-free herb scone with devilled eggs. So, all in all, a very tasty week with decreasing digestive discomfort! Roll on week 2! Last Friday I had my first telephone consultation with Lesley Reid, the FODMAP trained dietitian I’m working with while going back through the elimination and reintroduction phases of the FODMAP diet. I’d prepared a few notes in advance which listed some of the FODMAP groups I found were most problematic to my gut, as well as some questions I wanted to ask her, but I was really impressed with everything she covered that I hadn’t thought to discuss. Lesley began by taking me through an intensive questionnaire which identified important health questions. These questions included whether my IBS had actually been diagnosed by a doctor in the past (it has), my gynaecological history, and they also ruled out a number of other potential factors, such as coeliac, gastritis etc. She then asked me to tell me about my symptoms and give her a run-down of my IBS history which covered when it had begun, whether I could identify if there was anything in particular that started it, and how I manage it now (medications etc.). She also asked me about my general health which incorporated any medications I’m taking, if I have any allergies, how much exercise I take and how well hydrated I am. After we’d discussed in great depth the ‘medical’ part of the consultation Lesley then moved on to discuss the elimination phase she had planned for me. I was prepared for her to advise me to go into the elimination phase for the standard 2-6 weeks of eating solely low FODMAP foods, but Lesley informed me that the gut microbiome is negatively affected by being on the very low FODMAP elimination phase, so it’s best not to stay in elimination for too long. Also, Lesley said that because I’ve already been through the elimination phase once before and I’m quite informed as to what triggers my gut, I should initially go into elimination for two weeks and see if my gut is symptom free at the end of it. If not, we’ll do another week and then decide whether to begin the reintroduction phase at that point. I have to be honest, I was thrilled to hear that I might only have to do two to three weeks of elimination because it was quite daunting to consider being on it for longer, but Lesley’s positive and encouraging manner left me feeling confident that I could do it. She’d also posted two King’s College London low FODMAP diet booklets to me in advance which covered what the low FODMAP diet was and what products were suitable for the low FODMAP diet, which were handy to have on hand. Unfortunately, the King’s College booklets are only available to registered dietitians, but I’ll always prefer the Monash app anyway. Lesley advised that I should omit dairy from my diet during the elimination phase due to my diagnosed low level cow’s milk allergy, so that we could remove it from the equation and prevent our results being skewed. She also recommended that I begin to take a probiotic supplement, so that my gut microbiome can be supported (and hopefully improved) while in the elimination phase. 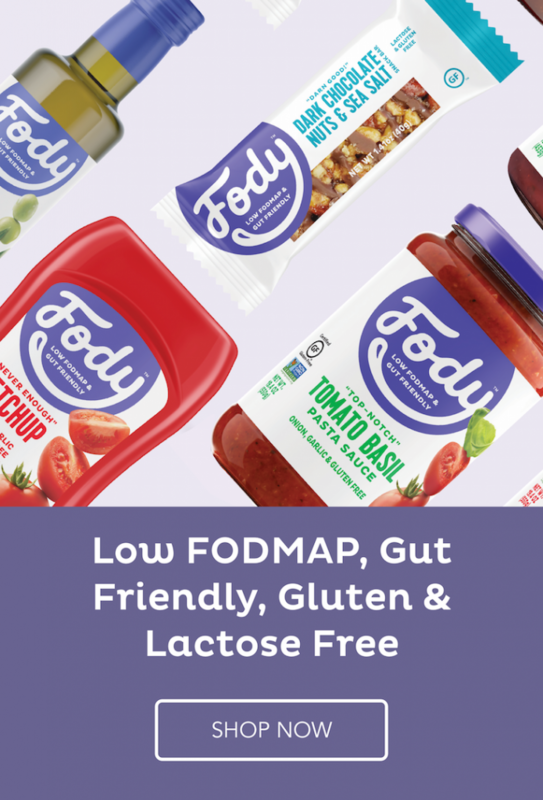 One of the questions I had for Lesley was whether I could incorporate Monash app recommended low levels of some higher FODMAP foods within my diet during elimination, but Lesley said that it was better to stick to a diet which is as low FODMAP as possible. She explained that this is so that all potential FODMAP triggers are removed from the diet in order to calm the gut down during the elimination phase in preparation for the reintroduction phase. After I came off the phone to Lesley and was processing our conversation it struck me that I hadn’t realized the number of behaviours I’d been doing that were possibly affecting my gut: wine, coffee, dairy, and even over-indulging on certain high FODMAP foods because I’ve been working on a vegan cookbook! For all that I thought I was quite educated in my own low FODMAP diet it turned out that I’d actually been quite blinkered to how I’d been eating and it took a conversation with an actual dietitian to highlight where I’d been going wrong. I genuinely can’t stress enough how beneficial it has been to start this process with a FODMAP trained dietitian. Aside from the fact that Lesley is fully aware of all of the health aspects which are involved in an IBS patient, she’s also really opened my eyes to how important my own diet decisions are when it comes to managing my IBS and FODMAP intake. 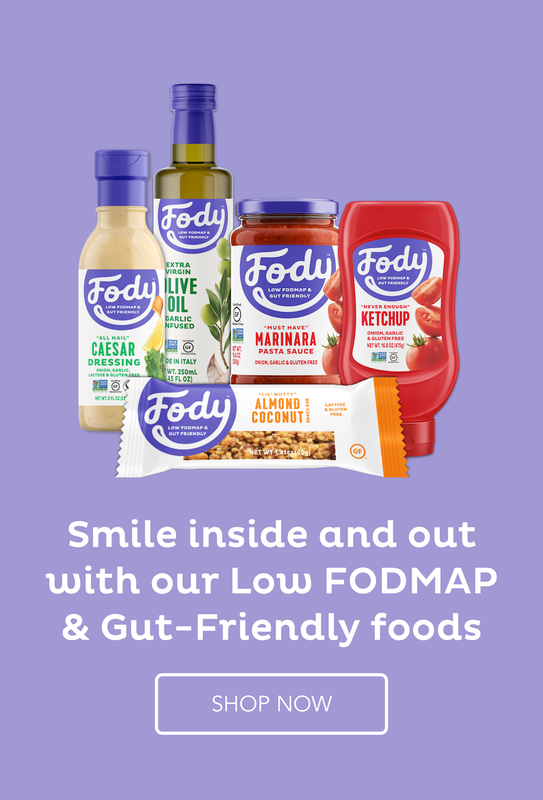 If you’re thinking of beginning the low FODMAP diet or even if you’ve never consulted a dietitian before and are just eating low FODMAP, I’d highly recommend consulting a FODMAP trained dietitian, such as Lesley. Before I began the elimination phase I put a lot of work into generating a list of very low FODMAP foods for myself, so that when it came to making breakfasts, lunches, dinners and snacks it’d be easier than having to think off the top of my head. 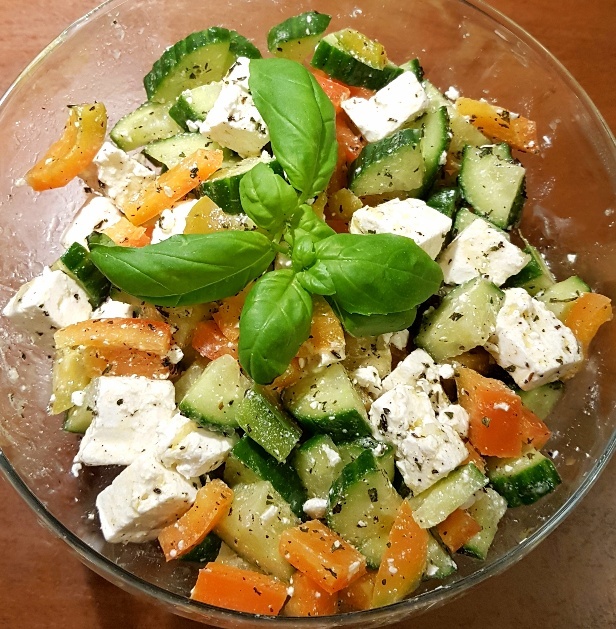 I also started writing a book of recipe ideas for myself which were all suitable for the elimination phase, so that I always had a recipe at hand that I could quickly make without the danger of accidentally eating high FODMAPs. I’m not going to lie, it was much harder to create recipes which were suitable for the elimination phase as opposed to my usual maintaining phase low FODMAP recipes, so as a result, I’ve decided that I’m going to write an elimination phase cookbook which will include all of the recipes I’ve used during the elimination process. In a sense, I suspect that the reintroduction phase is going to be tougher because I’m going to have to stay fairly low FODMAP until I’ve identified my new FODMAP triggers, but I’m committed to following the process through in its entirety because it’s going to be worth it in the long run. 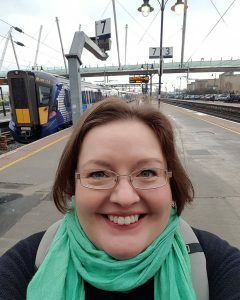 Last weekend I visited the Allergy and FreeFrom Show in Glasgow and I had the pleasure of meeting Lesley Reid, a registered dietitian who specializes in FODMAPs. Lesley was giving a talk at the show on recent developments in the FODMAP world and I’d arranged to have a chat with her afterwards. Lesley’s talk was a brilliant whistle-stop tour through the basics of the FODMAP diet and I saw a lot of people taking photos of her slides and writing down notes of what foods were low/high FODMAP. However, another thing I noticed which made my heart sink was that when Lesley asked how many people were on or had tried the FODMAP diet and then asked how many had successfully gone through the reintroduction phase (I’m paraphrasing a little bit here, but it’s hard to remember the exact words), there were significantly fewer hands up for those who had reintroduced. Now, this mirrors a concern I’ve had for quite some time now, that far too many people are going into the exclusion phase of the low FODMAP diet, feeling the benefits of cutting out high FODMAP foods, but aren’t going through the reintroduction phase to identify their own FODMAP tolerance levels. As a blogger, I’m in a huge number of groups and channels on social media and I’ve noticed that a huge amount of people won’t try the reintroduction phase because they’re frightened that their IBS symptoms will come back. I can sympathize with this, I really can, but the problem with staying in the exclusion phase is that it diminishes the number of foods people will eat which, as a result, has a detrimental effect on their gut bacteria and can lead to nutritional deficiencies in the long-term. When I met Lesley I approached her with an idea I’d had for a while – that she, as a FODMAP trained dietitian, guide me through the elimination and reintroduction phases so that I can identify my new FODMAP tolerance levels while under the assistance of a trained dietitian, all the while documenting my experience of the whole project on my blog. Thankfully, Lesley empathizes with and understands my concerns about the number of people who won’t reintroduce and happily agreed to the project. It’s been a couple of years since I put myself through the elimination and reintroduction phases and I’m noticing that foods I’d previously thought safe to eat are now sometimes causing me discomfort. Equally, there are foods I’d previously excluded from my diet in the belief that they were a FODMAP group I couldn’t tolerate, which I’m now able to eat. As a result, I think my gut microbiome has changed over time and I strongly believe that doing the elimination phase again, however difficult it might be, is the best way forward. Trust me, I’m not doing this lightly! 1.) I couldn’t afford to see a private dietitian. 2.) The waiting list to see a dietitian on the NHS is long and it would have taken a long time to get an appointment. 3.) I wanted to start ASAP because I was in so much discomfort. 4.) I’m a qualified researcher, so I knew I could educate myself in how the FODMAP diet in all of its phases worked before I began the diet. The main reason I want to go through the elimination diet a second time under the tutelage of a FODMAP trained dietitian, such as Lesley, is so that I can live the experience and communicate to others the importance of going through the elimination and reintroduction phases. I asked Lesley Reid if she would be open to doing the project with me because she trained in the Low FODMAP diet at King’s College London, so she’s entirely qualified as a dietitian to take someone through the intricacies of the FODMAP diet. 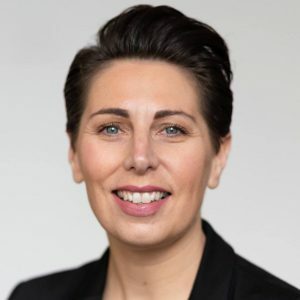 She’s also very passionate about the importance of the reintroduction phase of the low FODMAP diet and shares my concern about the number of people living in the exclusion phase. She’s also local (I live in Stirling and she’s got two office locations in Glasgow), so it made sense to use someone close by. I want to emphasise to everyone who follows the low FODMAP diet the importance of properly going through the elimination and reintroduction phases, so that a proper understanding of our own FODMAP tolerance levels can be understood with the long-term aim of being able to incorporate higher FODMAP foods within our diets to encourage good bacteria growth in the gut microbiome. This morning Lesley said that she’d be sending me documents to fill out, so that our project can proceed just like it usually would for any of her professional consultations and we’ll have our first telephone consultation on Friday. I have to say, she’s so friendly and approachable that I already feel reassured that she’s going to be the dietitian taking me through this process. The elimination phase is restrictive, so I’d be lying if I said I wasn’t nervous about going back through it, but I know that it’ll benefit me in the long run by informing me of my new tolerance levels and improving my gut health.